In December 2014, Instagram hit a major milestone, when they could boast a whopping 300 million users, and thus passed Twitter. Instagram is a mobile photo-sharing social network, and it is in essence simple to use: take a photo, add a filter, write a short text or just hashtag, and post. Too easy. And that’s exactly what’s so appealing. Photos don’t need to be perfect, it’s about fun. One can log into Instagram on the computer and look at images, but Images cannot be shared via the computer, only via a smartphone that has the Instagram app. However, there are a lot of photos on Instagram that were taken with a proper camera, worked on in Photoshop, emailed to a phone and uploaded via their photo gallery onto Instagram. I follow the Canon page on Instagram, naturally none of the photos they feature are taken by a smartphone, which is fine. But all in all I think it’s a bit like cheating if someone is not using a mobile device for taking images, Instagram is a ‘mobile photo-sharing social network’ after all. So, I’m using Instagram as yet another social media arm for my business, as such I have linked my Instagram page with Facebook. That is not a problem, since Facebook bought Instagram a couple of years ago, and everything can be integrated nice and easy. Everytime I publish a post on Instagram, I can chose whether that particular post goes on my Facebook page as well, or not. Same with WordPress: my Instagram feed shows up on the landing page of my WordPress page. I quite enjoy exploring the boundaries of my smart phone camera plus the Instagram internal editing options, on their own, or combined with other photo editing apps. I’m handling my ‘big camera’ enough so I’m very much content being much ‘lighter’ with the smartphone. Instagram has two great advantages over Facebook as a social media site for business: Unlike Facebook, there are no ramifications if you didn’t post several times a day, every day, all the time, and engage and like and follow meticulously all the pages that are close to you. The second advantage is that you can find a totally new and different group of followers than on Facebook, thus increasing the overall reach of your social media efforts. Statistics tell us that 46% of Instagram users are male, and 54% female, making this platform the only one that is almost equally used by both genders. I found it best following a group of photosharing enthusiasts (like #lovelysquares, #nothingisordinary, #hiyapapayaphotoaday, #yourdailysnap to name a few). It can be quite challenging at first to wrap your head around their specific ‘theme’ and incorporate that theme with your daily happenings and work. Of course there is some etiquette one should adhere to: don’t ask people to follow you, don’t over-hashtag your posts (11 is apparently the magic number), engage with people and they will engage with you, don’t overgram (nobody likes their feed filled up by one user), keep posts clean and easy to understand. As always, don’t repost someone else’s photo without permission. Over time you will figure out which particular hashtag will give you a surprising amount of reach. For me #inthestudio has worked amazingly good. And, like Facebook, the time of your posting could matter a great deal. 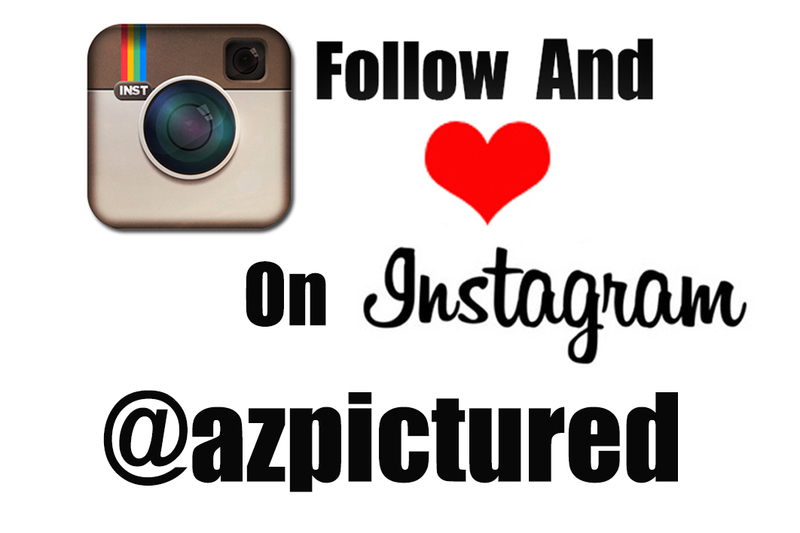 Instagram is great to use when I’m out and about, to create some behind-the-scenes glimpses in the world of az pictured. That includes the sunset, occasionally my lunch, my dog, my studio, or anything else that catches my eye during the day. And even though I can share through Facebook, I make sure I don’t always do. Regardless of what the social media gurus tell us, I’m not a fan of showing the same thing everywhere, it’s just really boring. I am still pretty much a newbie on Instagram, if you have any tips or tricks to share, please do. I agree that Instagram provides an additional platform for photographers to share their work and possibly, in a different way. E.g. provide a behind-the-scenes perspective. Have fun with Instagram!